In the Autumn of 1987, curator Rod Slemmons organized an exhibition for Cornish College in Seattle. Entitled Illuminated Manuscript, it presented photographic work by a number of artists who employ text with their images. 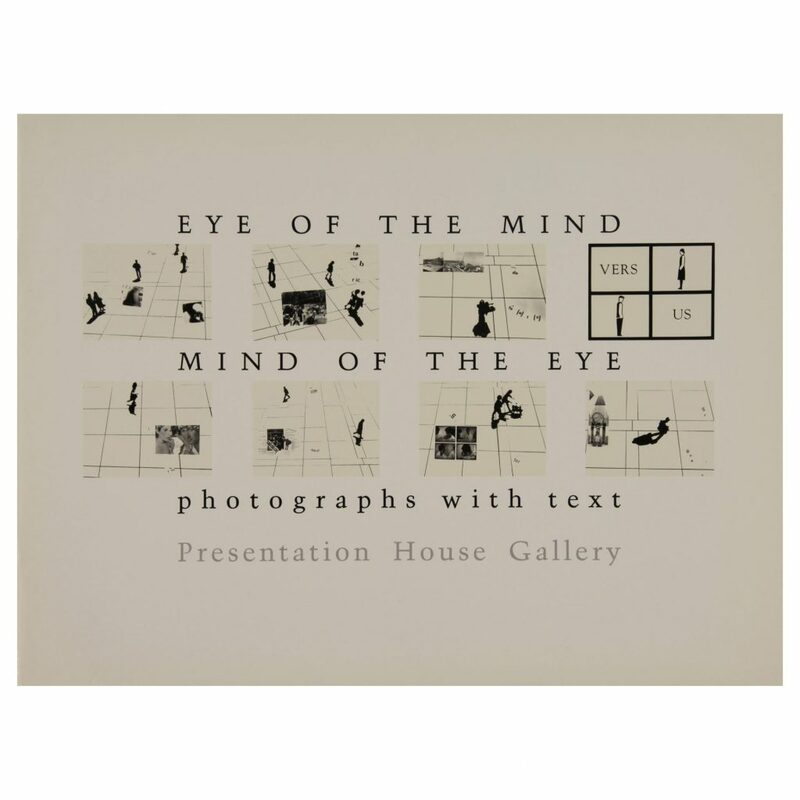 Although our exhibition take quite a different form from the Seattle exhibition, EYE OF THE MIND/MIND OF THE EYE is an outgrowth of an initial look at what happens each time we attempt a reading of pictures with words. A catalogue was published by Presentation House Gallery in conjunction with the exhibition. The 1988 exhibition catalogue includes works by artists, David Arnold, Paul Berger, Lisa Bloomfield, April Hickox, Bill Paris, Marian Penner Bancroft, Joyan Saunders, Bob Sherrin, Cheryl Sourkes, and Jeff Wolin. Guest curated and with an essay by Rod Slemmons. Exhibition dates: March 4 - April 10, 1988.